At least 61.8 million United States residents speak a language other than English at home. How can you reach these audiences with your video content if they don’t even understand what you are trying to say? The beauty of modern technology is that by translating videos you create, you can spread your message around the world. 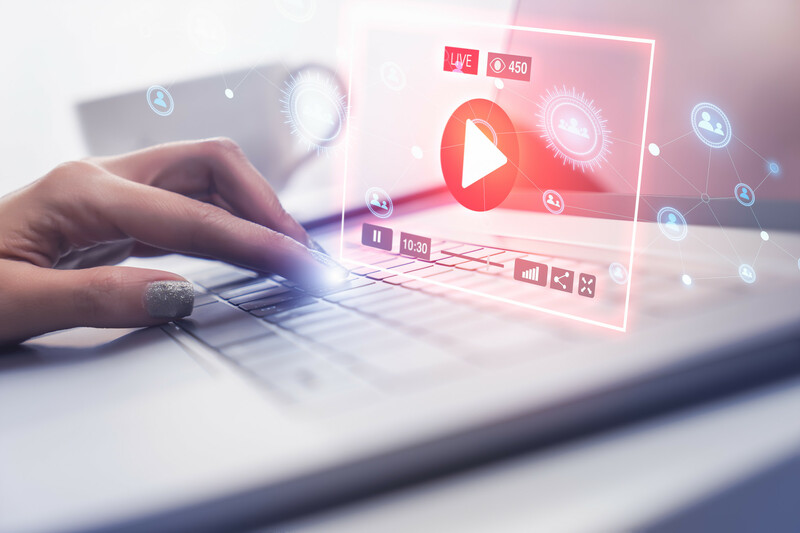 If you’d like to find out about translating your video content for business or personal use, keep reading to learn more about how it all works. What Does Translating Videos Mean? Video translation is a process that turns your video footage into something that is suitable for different languages for a variety of audiences. It may mean dubbing over the audio to a new language, adding in subtitle translations, or both at the same time. Voice overs are also commonly used. In short, translation is simply changing the language of something into another language. You can do multiple languages at once or just one, but it depends on what you are attempting to do with the content. When it comes to translating video footage, there are different ways it can be done. The route you take will depend again on the reason you are trying to translate and what you plan to do with the footage once it is in a new language. What Are The Steps of Translation? 1. Transcribe – The first step of translation is to transcribe all of the dialogue and text from the video footage. This is how the scripts are made for voice-overs or captions. 2. Translate – This step is where you change the dialogue and on-screen text to the new language. You can translate into just one language or multiple languages depending on what you need. 3. Translation Files – If you plan to use subtitles, this is the stage in which the translations are going to be coded into the video footage so that they play with the video in real time. If you want to use voice-overs or dubbing, this is when the voice actors will go into the studio to record their voices in the new language(s). 4. Timestamping – This is an important part of the process because it shows you that all of the new audio or subtitles match the footage being shown. 5. Editing – The final step of the process is to edit the video footage and audio to make sure it matches up with your expectations of the final video. How Can Videos Be Translated for Business? There are some choices to make when you are considering translating videos because you can translate them using in-house professionals or professionals from outside the business. The first thing you want to do is get a team of professional translators that are fluent in the languages you are translating from and translating to. This way, you will know for certain that you have a video that everyone will understand. This team could be people you hire to regularly work on videos for you or it could be outsourced. An example of outsourcing is choosing another business, such as this company, to help you translate rather than add more people to your own payroll. Whether it is for personal use or for your business, translating videos is a good choice to make. It increases the number of people that are able to see and understand your message. Plenty of people in the world only speak one language and often, that language is likely different than your language. If you want to increase your SEO potential, consider how having multiple videos will affect organic searching. Since the videos are in multiple languages, you won’t get dinged for having duplicate content. Another benefit is that you are going to stand out from others that don’t have translated videos. Even if the content is similar to something else, translating your videos opens up more opportunity and shows others that you care enough about your content to translate it. People that are deaf or hard of hearing may benefit from a translated video because subtitles can be wondrous to allow them to understand as well. Although some video platforms provide subtitles, they are not always accurate. Translations are much more accurate and show that you are not excluding this population. If you translate a video into a local language, people just like it more because it is more personal. It shows that you care about their unique differences and are not just trying to persuade them or get your point across. Overall, translating your videos is important for you personally or as a business because it opens up more opportunity to engage with audiences you may not otherwise. Now that you know more about translating videos, you may be ready to get started. There are many steps to take before you are ready to translate a video, but it is worth it in the long run! Remember to have a high-quality content video to start before translating in order for all translated versions to be high quality as well. Translation is important to personalize your video footage, engage your audiences, and reach a wider amount of people. If you’d like to find out more about how to get a great translation service to help you along the way, check out our blog post about 5 things you need to look for before hiring any service.